I am a classically-trained composer, conductor and pianist with a professional interest in film, TV, theatre, and video game music. I earned my Master of Music degree in Scoring for Film, Television, and Video Games from Berklee College of Music in Valencia, Spain, where I studied under Lucio Godoy, Alfons Conde, and Ben Houge. As a composer, my role is that of a storyteller. My stories are penned with emotion, inscribed on a page of silence. My abilities in the arena of musical storytelling, with me being able to evoke mood, setting, characters, and drama through composition, made the decision to pursue writing for media a natural one. Aside from composition itself, I consider my academic background to be my strength. My robust foundation in the history and theory of both Western and non-Western musical practices throughout history, as well as a healthy exposure to electronic music and sound design, enables to make informed decisions while composing -- you could say that it makes me something of a musical Swiss Army knife. Most importantly, what I bring to each project is a sincere desire to make your creative vision come to life with just the right sound for the project. For me, there is nothing more satisfying than a good, solid, meaningful collaboration with a fellow storyteller. More than just being an opportunity to create something, every collaboration provides me with an opportunity to learn something new, whether it's about music, my craft, my tools, my profession, myself, or something greater. I was born in Tehran, Iran, and was fascinated by music at an early ages. When I was fourteen and living in Berlin, I heard my cousin play the Flohwaltzer. I was so intrigued, that I repeated exactly what she had played - by ear. This was my first experience at the piano, and with it began my musical education in Berlin. Later, in Tehran, I continued my studies in classical piano with Katayoun Kimiaee and Fereydoun Nassehi. When I was fifteen, I began studying with Prof. Javad Maroufi, and was learning classical piano simultaneously with Persian piano. At the age of seventeen, I started teaching piano and was invited to perform at the Iranian radio station IRIB. This performance led to a seven years period in which I was working for Iranian radio and TV as a composer and pianist. At the age of eighteen, I began my studies in Mechanical Engineering at the University of Kerman, Iran, which I later continued in Tehran. During my time in Kerman, I continued teaching piano at the Ministry of Culture and at the University of Medicine. After the death of Prof. Javad Maroufi in 1993, I began instructing Prof. Javad Maroufi's students in piano. At twenty-one, I got the responsibility for the musical instruction at the Iranian Film Academy of the Iranian Ministry of Culture in Tehran. Because of my preference for composition, I began studying composition and harmony under the tutelage of Prof. Farhad Fakhreddini. In January 1994, I was invited by Ali Moradkhani, the director of the Tehran Concert Hall, to perform in the first concert dedicated to the memory of Prof. Javad Maroufi, which took place in the Vahdat Hall in Tehran. Later, I worked for the Tehran weekly newspaper "eight days a week" as a music journalist and wrote articles on music. At the age of twenty four, I decided to move to Europe to continue my musical studies. I was accepted to the University of Music in Vienna, Austria, where I began studies in composition and piano with a minor in orchestra and chorus conducting under Kurt Schwertsik, Wolfram Wagner, Christoph Cech, Alois Glassner and Leonore Aumaier. Two years later, my compositions were performed in a concerts in Vienna - with great success. At twenty nine, I started singing in the chorus of the famous church St. Augustin in Vienna. During this time, I also became the conductor of the Persian Women's Chorus in Vienna, for which I composed and arranged all of the musical selections, as well as worked as the student representative for the department of Keyinstruments at the Ludwig Van Beethoven Institute. At the age of thirty two, I have successfully completed my studies at the University of Music in Vienna - as a composer and pianist. Later, I have decided to persue my interest in film music and joined the Hollywood music workshop in Vienna by Conrad Pope. 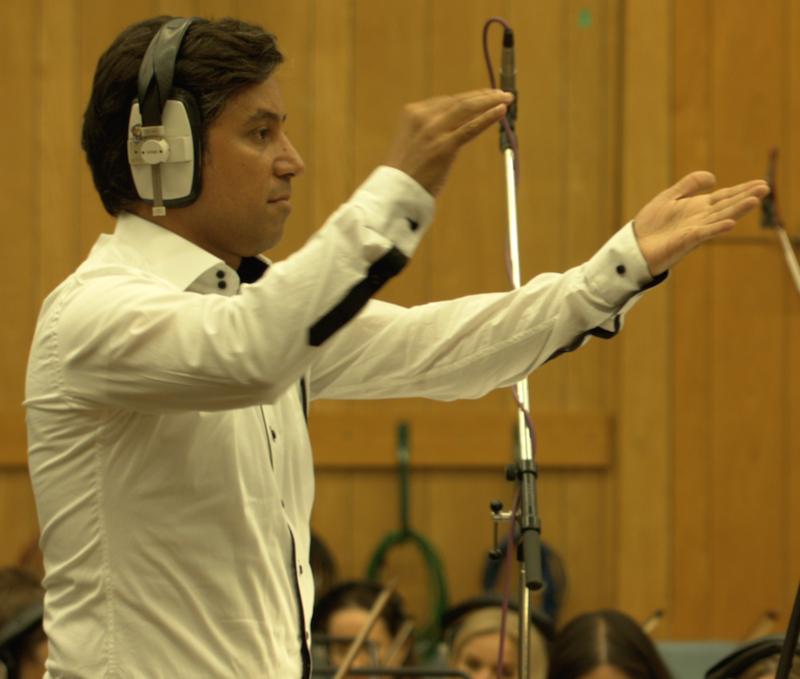 After this experience I decided to study film scoring and went to the Berklee College of Music in Valencia and studied Scoring for Film, Television and Video Games under Lucio Godoy, Vanessa Garde, Alfons Conde, Ben Houge and Pablo G. Schuller.